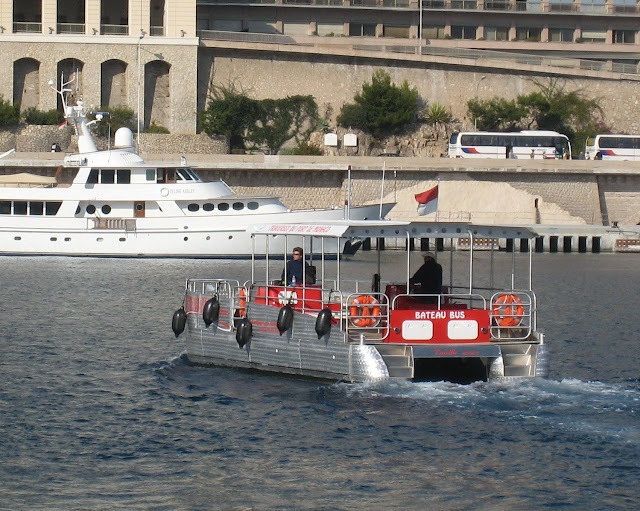 The Bateau-Bus was introduced into Monte Carlo this year - it crosses the harbour regularly throughout the day. 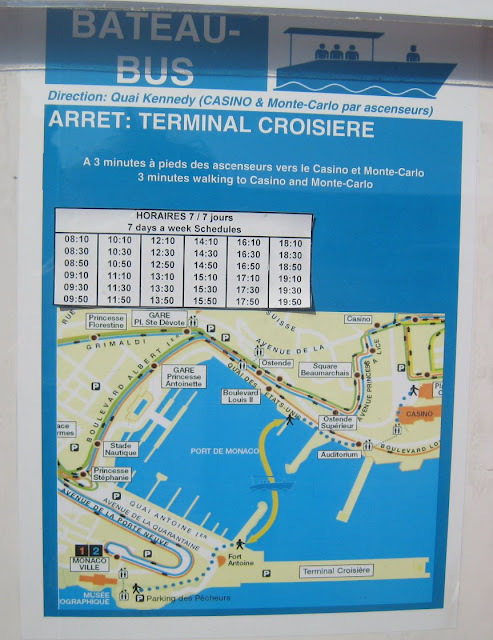 One end of the croisiere is near to where the big cruise ships come in and the other end isn't far from the casino. It costs 1 euro each way. I didn't have time today but next time I'm in Monaco will take this form of transport to cross the port and back again. Have a feeling I might get some good photos from the Bateau-Bus itself and it looks like fun! Looks like they might need some customers! Also looks like a great form of transportation. There was a guy half asleep on the boat(of course I photographed him) - then I left and a goodlooking (of course I noticed that) passed me in a hurry, jumped on the boat and off it went - and it was on time. There were no passengers. Just this guy and the one who'd been asleep - presumably guarding the boat. Next time I'll take the trip. I think it finishes in December. Presumably it's on March or April to December - not sure of that. yes yes yes! Take us on the bateau bus next time! Seems like a great deal! How long is the boat ride? 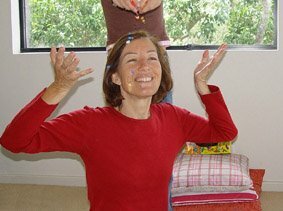 and more importantly, do they serve cocktails? great idea for a bus :). no chance to get it crowded!